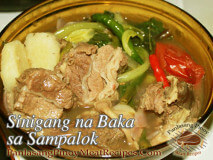 Goto de callos is a beef tripe or goto recipe. 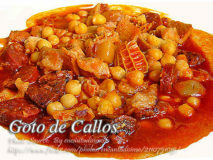 Callos is actually the Spanish word for beef tripe and the title seems a bit.. 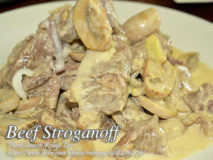 Beef stroganoff is a popular dish and it is also a Russian dish that consist of sauteed tender strips of beef and sliced mushrooms stewed..
Taguba or adobo with peanuts and bananas is a Visayan dish which is similar to adobo but made more flavorful by the addition of banana..
Another variation of beef caldereta is this recipe beef caldereta with tofu. 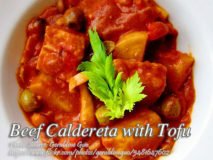 It is still the beef caldereta that we are already familiar with. 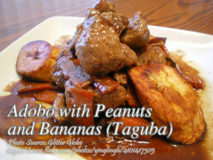 Just..